It’s been two months since my initial visits to see Dr. Fajardo, general surgeon and administrator at Santa Fe de Bogota, so I thought it was time to check back in (and check out the operating room). 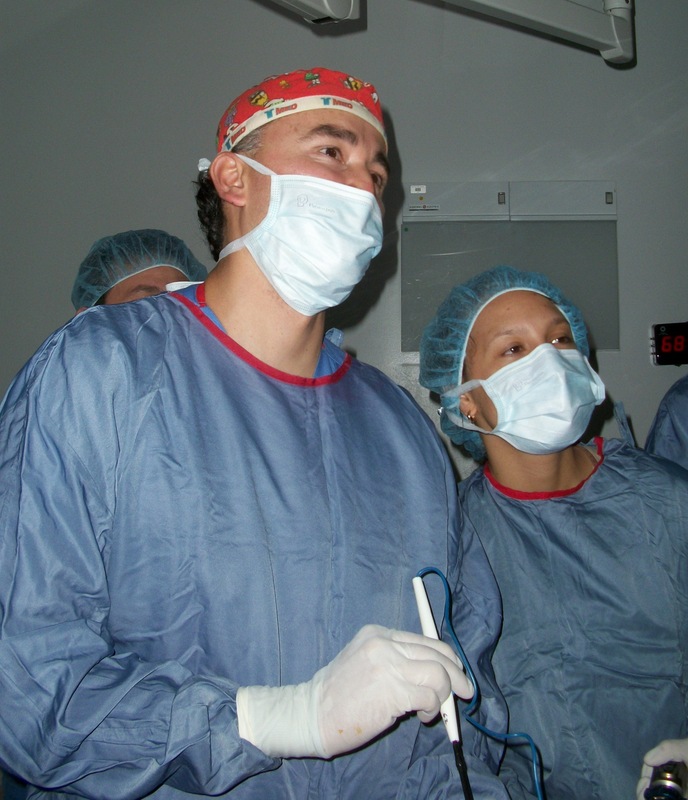 Dr. Fajardo was assisted during the case by Dr. Carlos Felipe Perdomo, general surgeon. In addition to operating, Dr. Fajardo is responsible for several new and innovative programs at Santa Fe de Bogota, including a 14 specialty telemedicine service which brings specialty consultations to patients in remote areas of Colombia. This entry was posted in Colombia, General surgery and tagged american branding, Bogota, bring care to underserved communities, cirugia general, Colombia, Dr. Carlos Felipe Perdomo, Dr. Roosevelt Fajardo, general surgeon, general surgery, medical tourism in latin america, Santa Fe de Bogota, surgery in Colombia, telemedicine. Bookmark the permalink.